How does wholesale telephone service work? Wholesale telephone service providers often exist as middlemen and gap-bridgers that fill roles and service holes that other telephone providers miss or cannot efficiently fill. Alternatively, larger networks will sell extra bandwidth to smaller networks. First, in some countries, telecom businesses are required by law to allow their competitors access to their networks to ensure active competition so that prices don’t become detrimental to consumers. Second, most of large companies have excess network capacity and the ability to sell some of this capacity at wholesale price allows them to make a little bit of extra money. To use the larger company’s network, the wholesaler pays a regular fee. Generally, the wholesaler also pays an additional per minute fee for the minutes and text messages that they provide to their customers. A wholesale VoIP system can be used as a small telephone system. In this case, the wholesaler can have customers for their telephone service. But wholesale is also targeted at service providers who need certain origination or termination services in particular areas. In these cases, smaller telephone companies might partner with a wholesale provider or might purchase their own wholesale system. Wholesale VoIP has become a very popular way for individuals to start up in the telecommunications industry. If you are looking for a wholesale VoIP service, there are many wholesale service providers. nexVortex: Metered Usage plans start at $25/month for 500 minutes. If you are pretty capable with technology, you shouldn’t have much issue with establishing yourself pretty quickly as a wholesale VoIP service. There are many features to consider about your wholesale VoIP service. Read more about wholesale VoIP features on our wholesale VoIP page. Many major cell phone networks offer wholesale plans to other businesses interested in offering wholesale service. These companies include Verizon, AT&T, T-Mobile, and Sprint, which is actually a reseller of service from ClearWire. It’s hard to find a price estimate on a wholesale mobile service. Generally, companies prefer to give individual quotes, rather than general plans. It also bears noting that wholesale cell phones themselves can be very cheap. For example, a wholesale iPhone can cost as little as $76.00 on eBay. Wholesale service with traditional telephone service providers works much in the same way as wholesale with VoIP and mobile services. 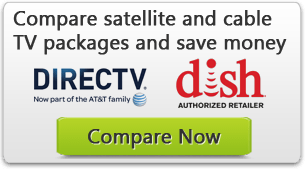 Larger landline companies sell wholesale minutes to individuals who are interested in providing consumers with phone service in their areas. This may benefit the landline company by providing a source of origination and termination in that local area. As with wholesale mobile service, companies are more inclined to give specific quotes to individuals, rather than general price estimates.